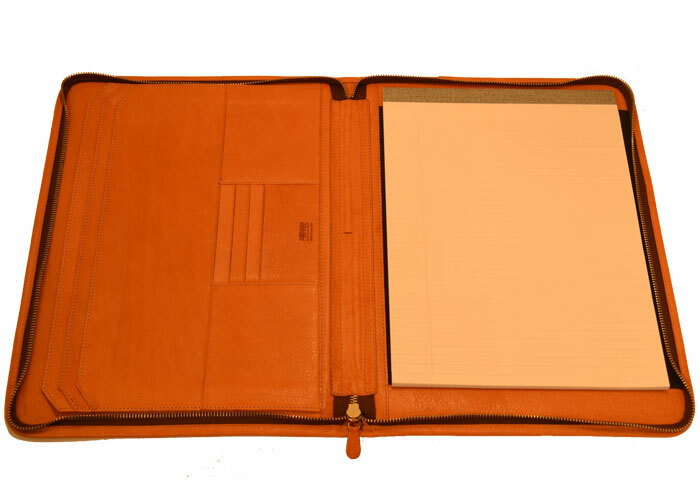 We’ve given our popular Letter File Folio a slightly larger gusset and zip closure. Your files and important documents will be kept neat and secure. All turned edge construction with bound exterior edge featuring contrasting leather trim detail. 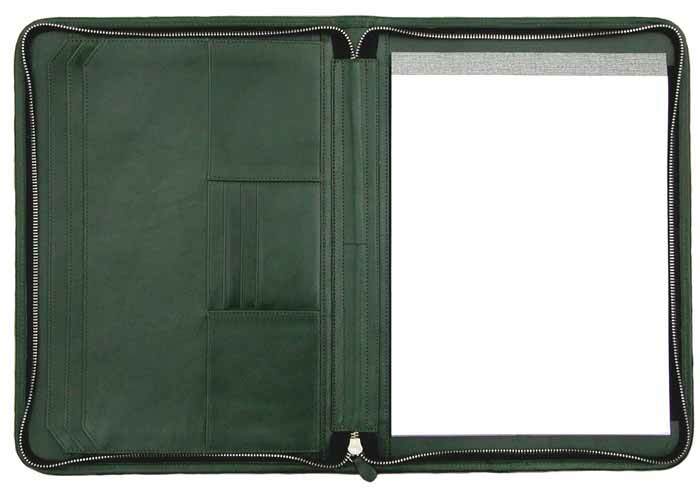 We’ve designed our Letter File Folio so that it can be utilized for left or right handed persons by simply inserting the pad from either direction. © 2012 Aberdeen Leather Inc. All rights reserved.